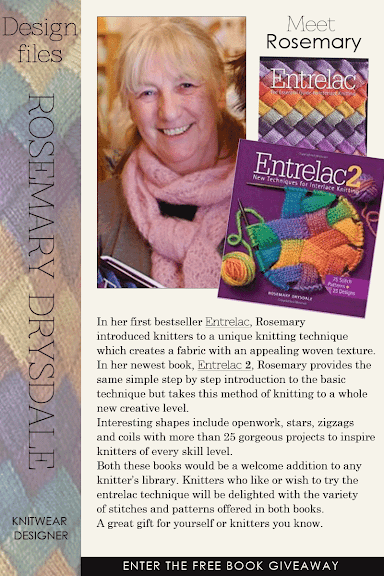 I am ecstatic to be able to highlight and give away a copy of Rosemary's newest book on the technique of interlace knitting, ENTRELAC 2. Rosemary's innovative collection takes Entrelac knitting to a whole new creative level with never-before-seen interpretations, providing knitters with a fresh, fun challenge. I'm especially pleased to have had the opportunity to meet Rosemary and spend some time with her getting to know about her background in the industry. 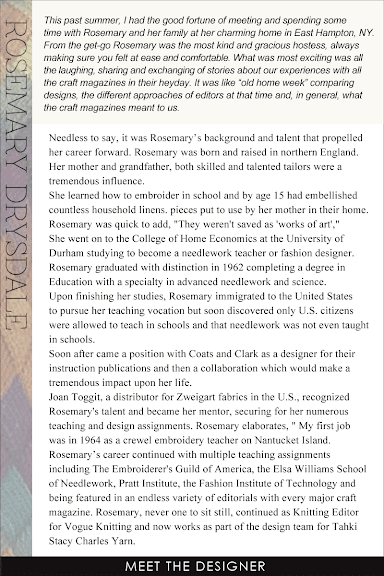 Read further for more about Rosemary and don't forget to enter the free giveaway for her new book Entrelac2. Can’t wait to see if you won or you want to buy your own copy now? No worries! 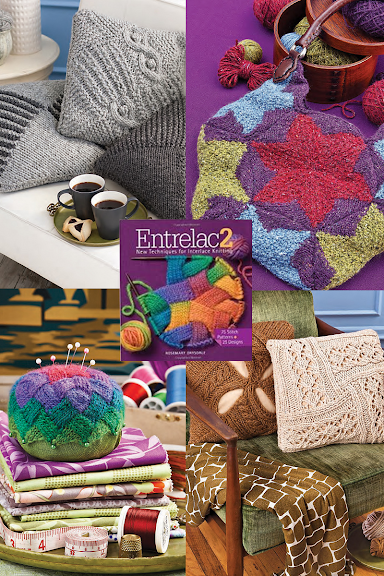 You can buy your own copy of ENTRELAC or ENTRELAC 2 right here. 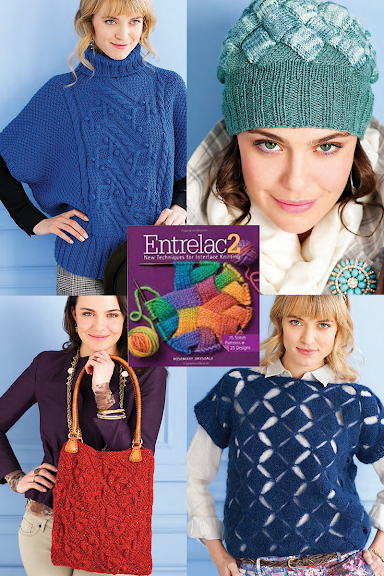 I would love to win a copy of your new book, Entrelac 2. All of the items are lovely. I would especially love to make the dark blue, short sleeved "peek-a-boo" top. Well, it's a tough call, but I'd have to go with a bag! Because I have never done Entrelac before this would be an introduction to a different world of creativeness. I love the poncho and other things each shows its' own style. jonibee (a member of Knitting Paradise). I made the entralec purse from the first book. Two new skills: entralec and felting. Sweater and hat from new book. 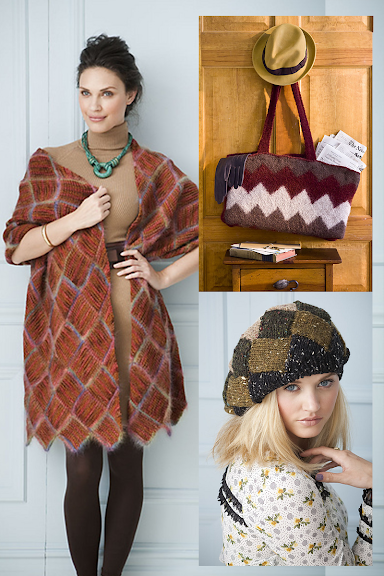 I would love to make the blue hat. Looks very interesting and cozy. The tote was a very close second. 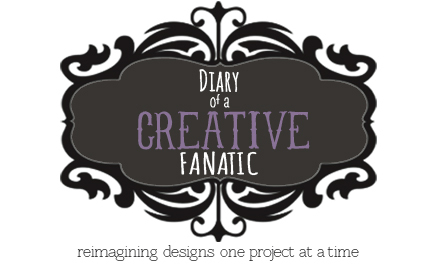 I would love to learn how to make that cute pin cushion in the book! I have never done entrelac and this would make the perfect 1st project and a great gift for my Mom's birthday! I want to make the pincushion! Looks like a neat way to make the top of a hat, too. I have vol. 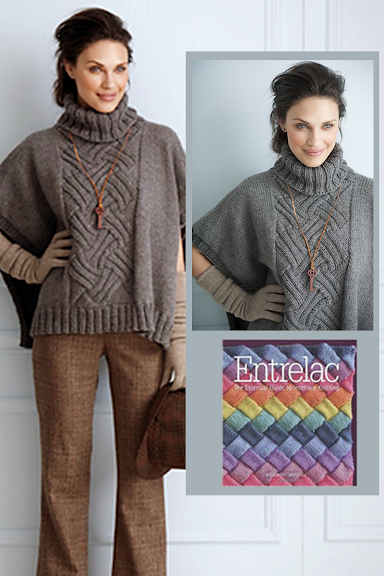 one and would dearly love to have this further exploration of the possibilities of entrelac, That grey poncho with the center panel would be first on my list, so many variations one could knit. Thank you for giving us this opportunity. How can you possibly pick just one! Since I have to ....I guess I'll say one of the sweaters first, or maybe a pillow since it would probably go faster, although I really could use a hat! See, how do you pick just one? I only hope I would be able to do the beautiful designs and technique justice. 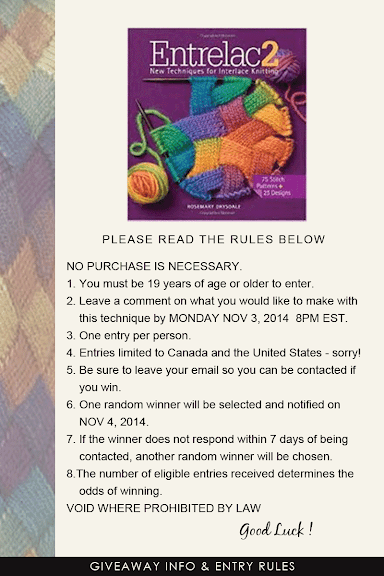 I would like to win 'Entrelac-2', as it has more of those patterns, that I want to create ! Thank you for giving us a chance to win , what we love ! What a beautiful sequel! I love the pillow. I want to make a pillow- using a variegated yarn similar to the knitting on the cover. It is wonderful! Love, love, love the shawl. Also the hats and the sweaters. Once I know the technique, I'd do the shawl first, then the others. I would make the pillows, although the poncho is a close 2nd! All the patterns are gorgeous! What a beautiful sequel! I love the pillow.it's a tough call, but I'd have to go with a bag!